Jill and I met through the worst of circumstances in that my little girl (Xena) was sick with MRSA. On our first conversation we both felt a very strong spiritual connection with each other. Since then we have become very close friends and the bond just seems to get stronger. It may sound bizarre to some and in the beginning it even did to us. We seem to have led the same lives even just on different paths. Anyway rather than go into the whole story I will cut out the middle and bring you to the present. 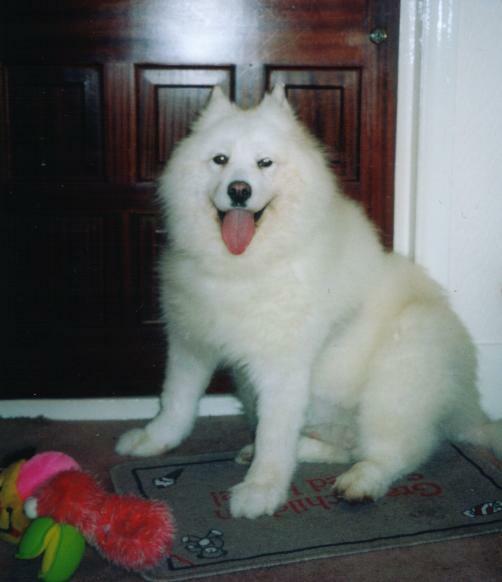 Soul wrenchingly Xena passed away on the 7th October 2006. I wrote Xena a memorial poem and Jill found it very moving. Jill wished she had the words to express what she wanted to say but found it to painful to bring them to the surface so I wrote one for her. Below is my interpretation of Jill’s emotions for Bella. Unlike death from natural circumstances, the sudden loss of a life companion or family member whether human or animal leaves the person behind with no time to prepare for an ending: one day life is normal, the next we saying goodbye to a loved one – and the world has changed forever. This kind of loss rends the fabric of our lives and the wound is much harder to heal. Grief is that process by which we heal hurt and adjust; in order to go on with our lives we need to let go of those we love who are no longer with us. The process of mourning is gradual; it is a coming to terms and acceptance of our loss. Richard Allport - Natural Medicine Centre. Vet, treating Bella’s arthritis for four years. Roguish, Stubborn, Talented, Unique, Vivacious, Wise, Xtraordinary, Young at heart, And with a Zest for living. How sad her life came to an end so tragically. I will miss her very much. Bella was not a dog that liked to be alone. I made sure that she always had the company of friends if I was out for long periods, but she also valued her solitude and if she was in the mood to be alone – no coaxing from anyone would change her mind. The way that Bella communicated affected me so much that in the end I replied to her with ‘woo and oo’s”. I always understood what she said. I could see her thinking about something and trying to make a decision, this was never more apparent than when we went out. If she wanted a street walk, she walked on, and if she fancied a trip in the car – she sat by the car! Some might say a dog should be trained. I never needed to train Bella, just ask her nicely and respect her. I didn’t own Bella; she was not my pet, but my true-life companion, soul mate who accompanied me on many of life’s adventures. It was a privilege to have Bella in my life. I am truly lost without our daily conversations. And I won’t, I can’t. I feel cheated from many more adventures that I know we would have shared, and the fraught ending to her life that we both experienced traumatises me. No animal should have to endure what she did, especially such a beautiful gentle soul such as my Bella. Bella was the only dog that I knew that you could hold a conversation with. Ask her a question, and she would ANSWER! Obviously, to us her language was incomprehensible, but she tried to communicate in her own style. If she wanted something, she would always get the message over. Taking Bella for a quick walk was never possible. 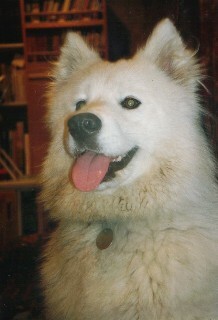 Adults and children would come over to make a fuss of this gorgeous white fluffy dog, she relished in the attention. She was a local celebrity! So many people seemed to know her by name. I often walked her and was always surprised at the volume from passers by of “Oh, look, there’s Bella”. I remember walking her in the local high street, where shop staff would come out to see her. Everyone knew Bella in the vicinity of where she lived. Bella was Bossy by nature, doing what she wanted – when it suited HER! In her own way, she was very loving but she also valued highly her solitude. This attitude was probably spawned from her younger day’s when she was left alone regularly before my sister rescued her from uncaring neighbours. 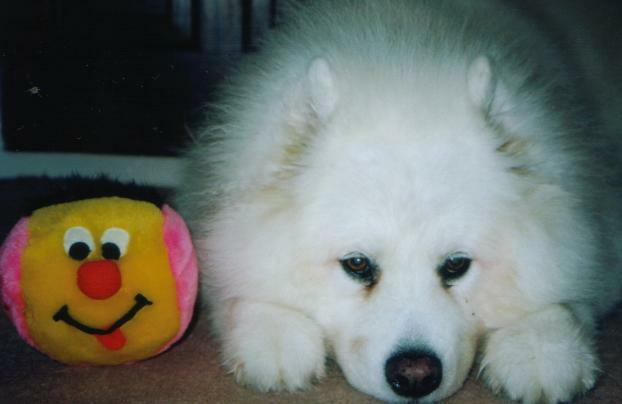 Bella’s untimely death was far more poignant and devastating for us than merely losing a pet. She was family, and will be greatly missed by an awful lot of people across the age spectrum. Bella understood everything I said to her, we had some lovely chats, as she was so vocal. Bella would go to her toy box, choose her favourite toy then throw them about the room. 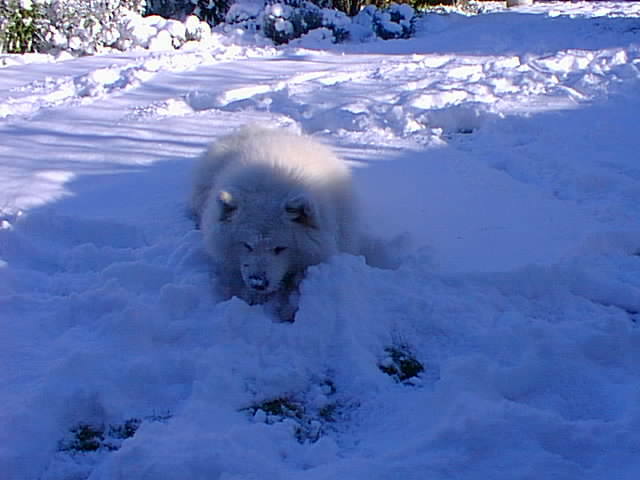 Even, as she got older, her playfulness never stopped and her antics were a joy to watch. Everyone who came to our house was welcomed with her favourite toy, which she promptly dropped at their feet. She would tell them a long story, as she was so happy to see visitors. The house now is empty and very quiet without her; she can never be replaced because Bella was unique. What do you say about a dog who was…. well, human! Bella would greet me at the door not with a bark, but a toy and a conversation! She was so easy to love. 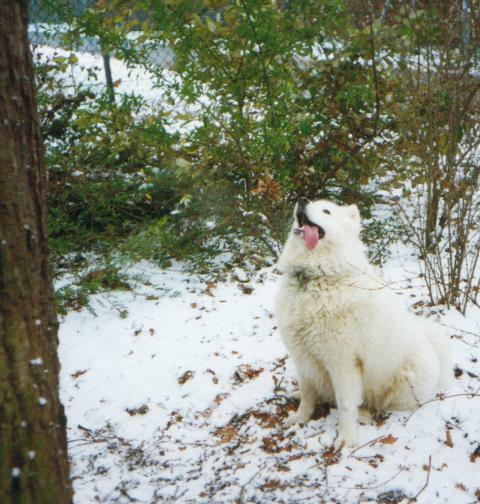 Bella was the most beautiful dog ever, truly the Marilyn Monroe of the canine world, and she knew it! Not just beautiful on the outside, but on the inside too. She had the most unique personality of any dog I have ever known. She knew what she wanted and how to get it – a trick, no doubt, that she learnt from her mistress! 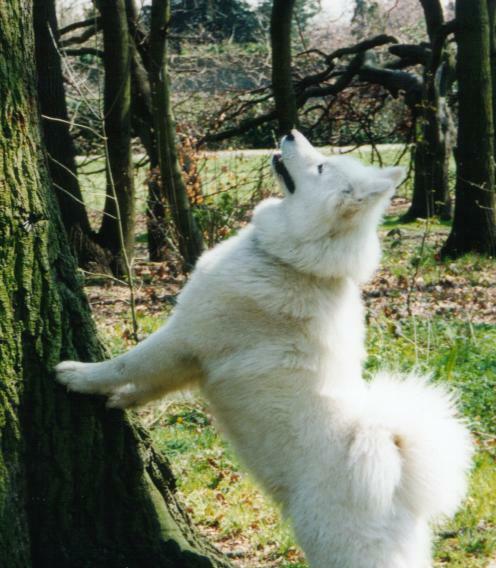 You could always tell when Bella was in the park…you would hear her talking for ages whilst she simply sat at the bottom of a tree looking up towards the squirrels at the top, asking them no doubt to come and play. To walk with Bella was an experience. Everyone would stop and comment on such a beautiful dog and could see the pride in Jill’s eyes as she thanked many a stranger on Bella’s behalf. What do you say about a dog who was more human than any dog – You say that she will be missed as much, if not more so than any human being could possibly ever be missed. Bella was the most human dog I have ever met. She talked to you – yes really talked “woo, ooo, woo” and many varieties of that sound. She talked with Jill and nanny endlessly. 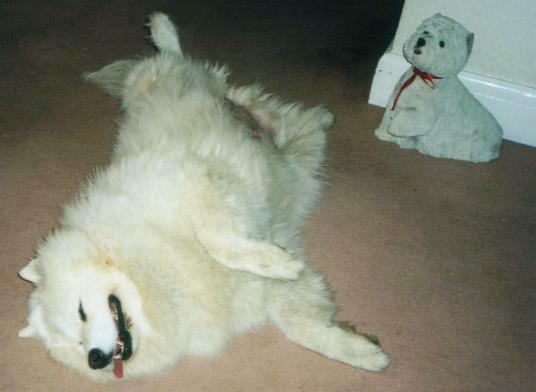 She was an amusing funny dog, until the end of her life, always puppy-like and playful. 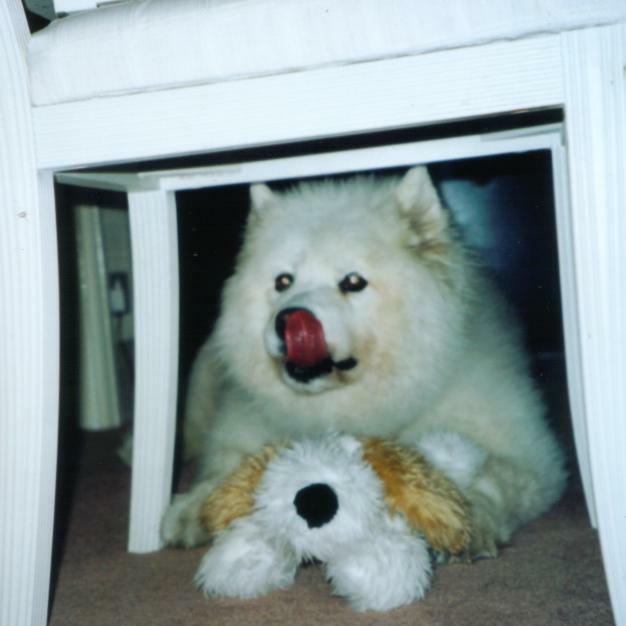 A very special dog whose conversation and fluffy wolf-like looks will be greatly missed in our family. 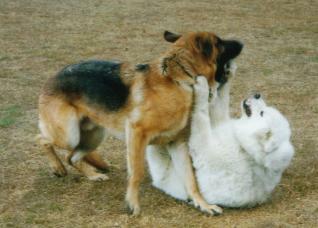 I had proper conversations with Bella; she was always like a playful puppy, never acted or looked her age. I will never forget how Jill and nanny loved her. To see my 80-year-old grandmother on the floor playing with Bella is a special memory I hold in m heart. Bella was a gorgeous dog. Everyone remarked on her resemblance to a polar bear. 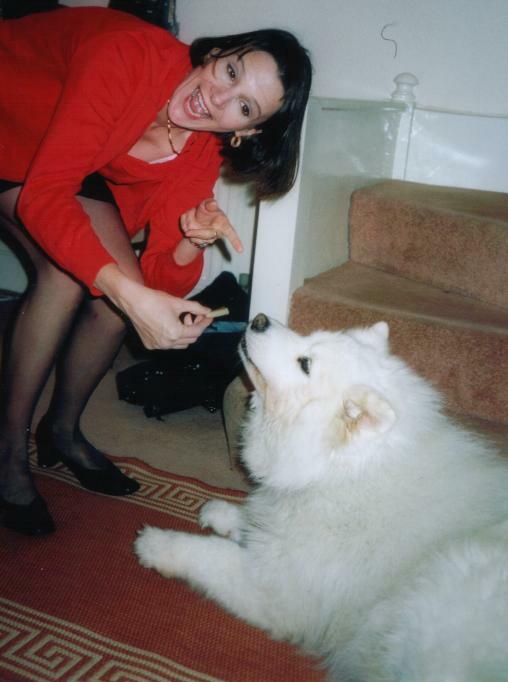 She often came to my flat and made herself comfortable on my artic bearskin white rug (complete with head) and you couldn’t tell them apart. Bella loved having chats with the girls. As we discussed our trials with the male species, she seemed to have a lot to say and would join in our conversation. “Woo,oo,woo,oo” was always expressed when we spoke of our problems with men. I think she was warning us off some of our choices! Or, maybe she was spurning us on. We will miss her greatly on our girlie nights in. 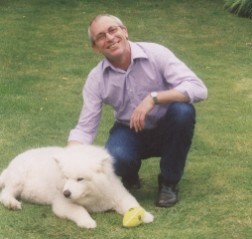 Bella was our lovely ‘family dog’ whom I had the pleasure of looking after. When walking with Bella it amazed me how many people would stop or call her name as we passed by. She seemed to be known to everyone in our neighbourhood. Bella was such a character and very well liked. She always had a lot to say for herself, as she was the most vocal of dogs. 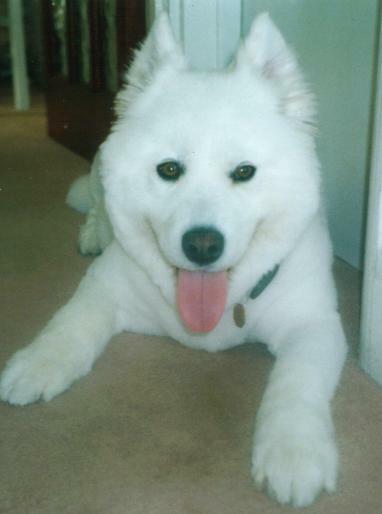 Bella was beautiful with a real personality, and a real ‘lady’ particularly after she had been groomed. Her clean coat – made her proud and she would strut about, head high in the air, with an expression on her face that read ‘look at me, I am beautiful’, and she was. Bella was a very special dog. Intelligent, responsive, and communicative. Very proactive with her toys. Bella had a fascination with the white fluffy piglet I bought her and provided us with much entertainment. Hearing Bella and Jill talk to each other, was really quite a magical sight. Wherever we went together, she would always cause a stir. Her beautiful white coat fascinated everyone, smiling face and vocal talents. She was more than a dog, and I am so grateful to Jill for rescuing her and bringing her into our family. Bella and my dog ‘Chocky’ became the best of friends. 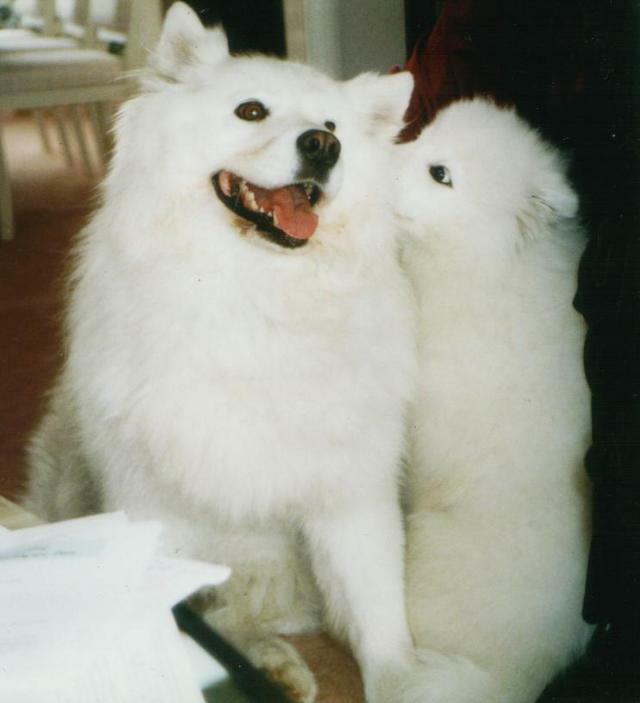 Kissing cousins, when Chocky and I arrived at the house, Chocky always got a kiss from Bella on her nose. 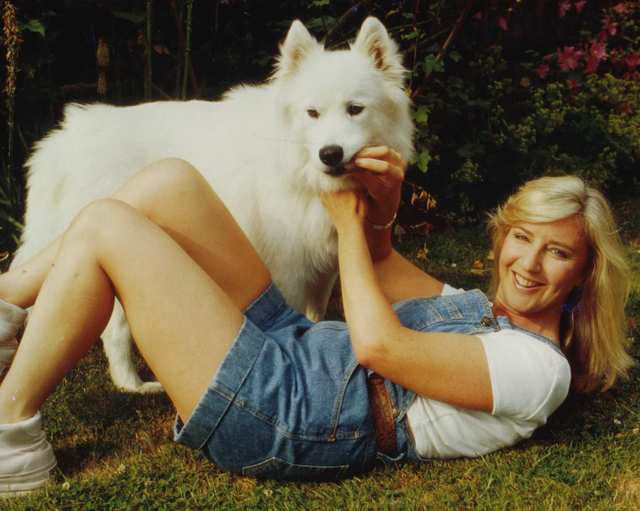 My auntie Jill nursed my dog Chocky when she was ill, and Chocky died in Jill’s arms. Moments later Bella went over to Chocky and kissed her for the last time on her nose. This kind of emotion shows how special Bella was. 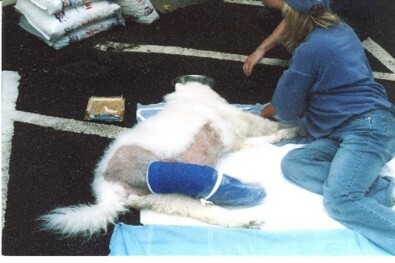 Jill gave Bella the best possible life; on a daily basis, doing all she could to ensure Bella remained healthy. The bond between them was beautiful to watch. Although Bella was taken from us so tragically, she will remain in our hearts and be remembered for her unique attributes. She is now with Chocky in God’s garden and once again, they can kiss. 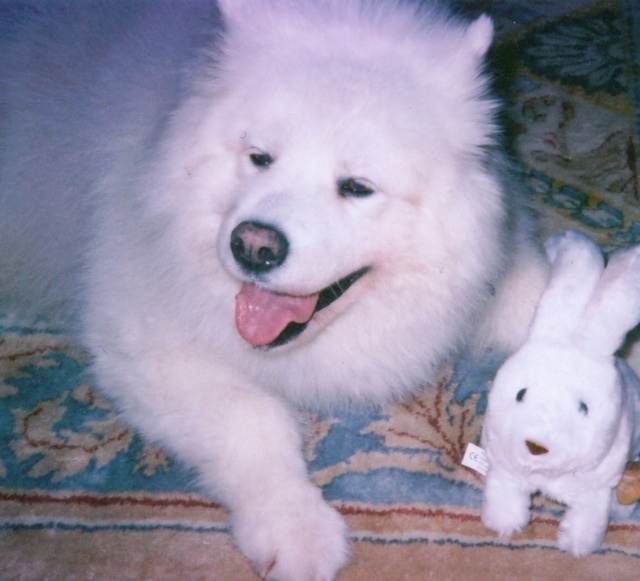 Bella was a big, white teddy of a dog that, despite her struggles with arthritis enjoyed doggie pleasures and lived her life with enthusiasm. 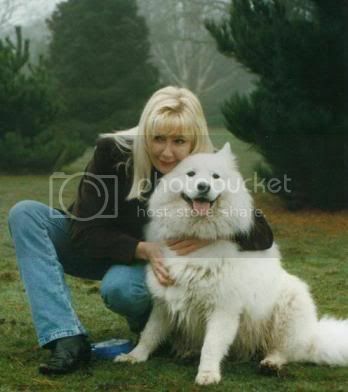 Being with her family made her happy as did having her lovely polar bear coat tousled by a friendly hand, or sitting on the grass letting the gentle breeze bring delicious smells to her large, inquisitive nose. Health troubles were to visit her in latter years but Bella tried her best to fight against achy joints, appreciating the efforts made by Jill to give her the best quality of life. Bella was courageous, fun, loving, loyal and a grand girl! 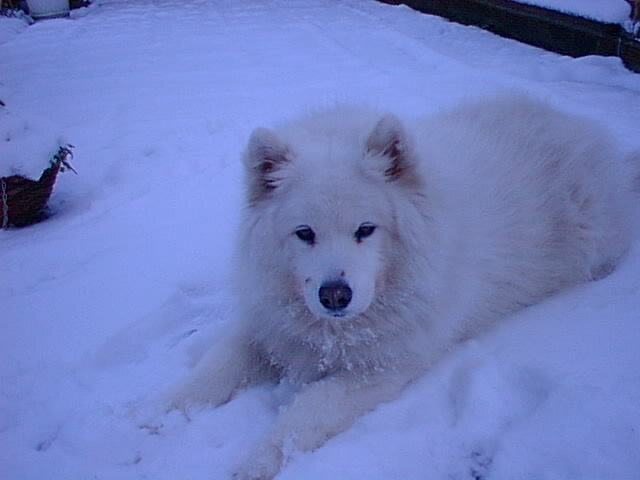 Whatever the weather, wind, rain, snow, Jill was always out with Bella (who loved snow, rolling and eating it) we would make snowballs throw them in the air for her to catch. Sometimes on walks we would just all sit and soak up the silence. In the park when we were out together, it was a joy to see elderly people, children, families, and other dog owners smile as they looked at Bella, she had this effect on people. I will always remember Bella’s big brown eyes and her ‘snuffling’ into my bags or my pocket to see if I had brought along her favourite biscuits. And when Jill dropped me off home, Bella’s face would look over the back seat towards me as I waved. On the last day of Bella’s life, I visited her at the hospital, and happened to have her favourite biscuits on me. She had eaten little for days, and was weak. When I arrived, she could not talk anymore but managed to wag of her tale, and surprised us all by wafting down all of the treats I had in my pocket. That was my goodbye to Bella. Now she is gone, an era in my life has ended. My dearest memories of Bella revolve around the weekends I used to stay with Jill. 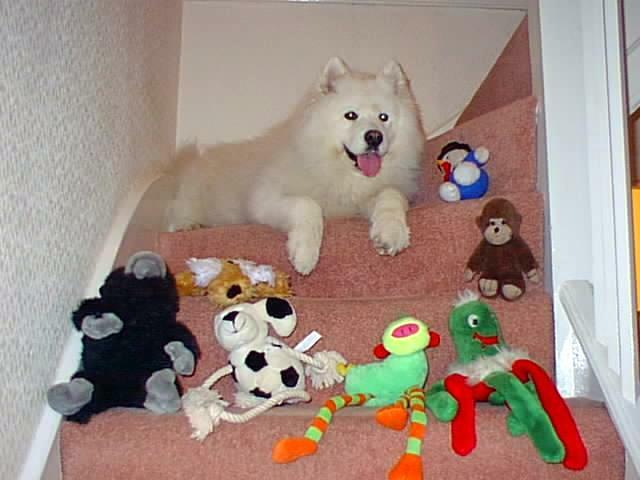 On arrival, Bella demanded I join her to play as she took all of her favourite toys out of the basket, you could see her choosing a different one each time. Tossing them about, with so much energy (so puppy-like) even at 10 years old. This would be followed by her rolling on her back, legs in air. This being how she slept! Bella brought so much joy to my heart. In the morning, she waited for me to wake before she would eat her breakfast. Thank you Bella for the love you showed me, it is so hard knowing that we won’t be able to play in the ‘Kelly and Belly show again. I will miss you so much, but will always hold you close in my heart. 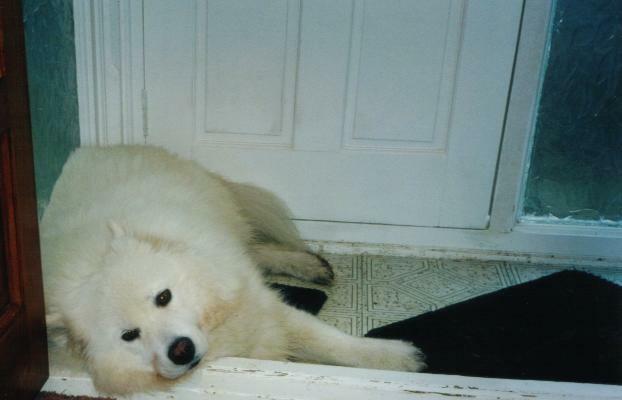 Our memories of Bella are of a dog who was a gentle soul, full of fun, and a happy creature who loved playing, and loved lying in the porch of the house to cool off. You could also not find a more devoted and loving owner than Jill. It is a terrible cruelty, and totally unfair that Bella should be lost to Jill in such a tragic and unnecessary way. It was so difficult to put into words the feelings I have about Bella and her death. I only knew Bella for a short while, but in that time I discovered what a true character she was. Unlike other dogs, she didn't have a need to be constantly at your side, and a few minutes of attention from her would be all you got before she decided to go and contemplate her garden. It was clear how devoted she was to Jill, and also clear how that devotion was returned, and her passing is all the more tragic because theirs was a unique relationship that ended to soon. I found that Bella had a real sense of humour and loved to play, but she could also be aloof and disdainful when the mood took her, and like Garbo, there were times when she just wanted to be alone. 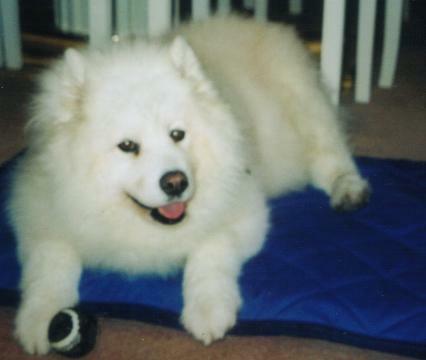 Bella had arthritis by the time I came to know her, but her spirit was never dimmed by pain or discomfort. She walked slowly at times, but still wanted to go around the block each night, she found running hard, but never gave up the chase of a cat or squirrel (though the day's when she would catch one were long gone). I only knew Bella for a short while, but her love of life was apparent in everything she did, and everyone is the poorer for her passing. I gave Bella healing on a regular basis. She was always a joy to be around. 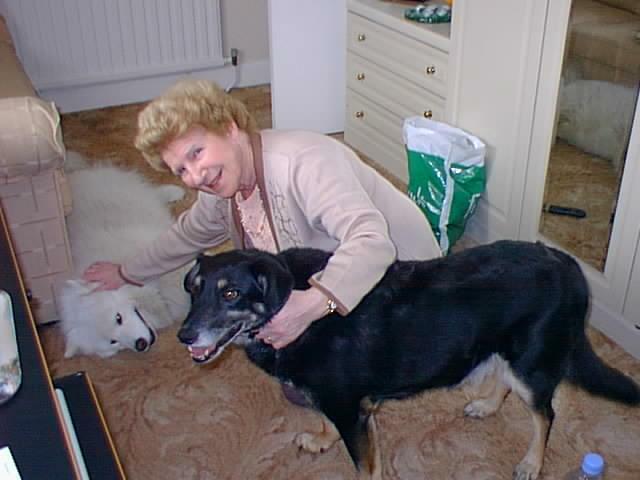 Her antics and’ talking’ were always such fun and in essence despite her arthritis pain, Bella loved life and she was such a fun dog. I remember helping Jill to groom Bella for the summer, and with her lighter look, she resembled a baby lamb. Cleo, Foxy and I will miss Bella’s visits very much. She always acted as if she owned our house, running in and taking charge! Bella was lovely. Usually I date much younger girls, but Bella took a fancy to me. I live down the road, and every time she passed my house, (door usually open) she ran in, drank my water, ate my food, and demanded we rumble around, what else could I do? For an old bird, she was fit! 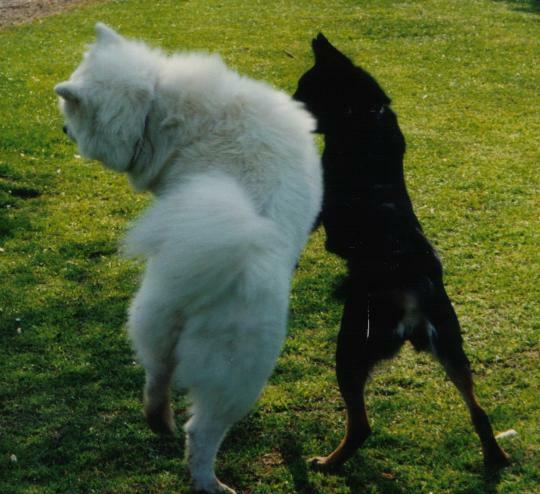 She gave me a run around, I was extra gentle with her, because of her achy joints, and most of the rumbles we had – I let her win! I will miss you charging in my house uninvited, you bossy thing! Bella stayed with me, and all I can say is - the gal had no fear! She had to win every fight otherwise she would sulk, we had some good rumbles. I looked up to Bella and told her all my secrets and she never let on. She loved to boss me, and when we played, she had to win every time. We would arrive back from a supermarket and Bella would dig into all the bags, ignoring any without treats. Talking endlessly, until someone gave her a chew. The best memories as a group that we all share are the monthly trips that we took to the beauty salon. She sat by the door and caused such attention from passers by in the street, bringing more customers in all who wanted to look like her! 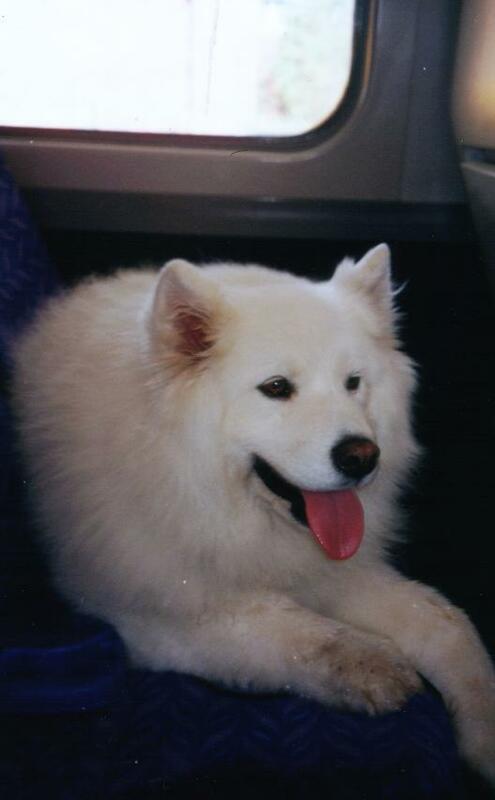 On away day’s British Rail and Virgin Trains always gave Bella the best seat, and passengers loved to peer in through the window laughing at the white dog refusing to sit on the floor! And, when fireworks went off, Bella would hide under the table grabbing her favourite toy where she would remain for the duration of the evening. On trips to the park, persistent Bella would sit at the bottom of one tree for hours, knowing that a squirrel was at the top. Some of us would read entire novels and she still was talking to the squirrels. Once she caught one, looked at it and licked it on the nose! It is so sad that her last chase of a squirrel ended with Bella prematurely losing her life – A tragedy for her and all of her friends and family.